I arrived in Turkey for the second time in my life late last year, landing at Istanbul. Almost immediately, I could see that a lot had changed. The prosperous and secular country I visited last time was in a slump. Islamic headscarves, previously rare, were also common. Luckily, I had a New Zealand passport, so I was alright. There are a lot of advantages to travelling on the passport of a country that hardly ever makes it into the news! I’m going to write about Istanbul in another article. 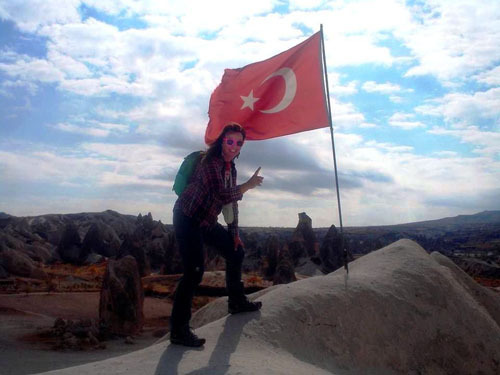 The rest of this one, however, will be about a different topic: my experiences in Cappadocia. Cappadocia is a region in central Anatolia: the great peninsula between the Black Sea and the Mediterranean. 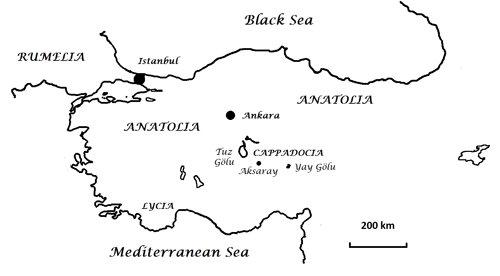 Modern Turkey consists of Anatolia plus a small part of Europe. After the fall of the West, Constantinople (now Istanbul) became the capital of the Empire, which became primarily Greek speaking from the 600s CE onward but nonetheless continued to call itself Rome or the Roman Empire, right up to the fall of Constantinople to the Turks in 1453 CE. Egypt and Syria were lost to the Moslem Arabs in the 700s CE, and most of Anatolia was lost in 1071 to the Seljuk Turks, a dynasty who came before the Ottomans. The Seljuks called their part of Anatolia the Sultanate of Rum, that is, of Rome. Thus, in 1453, the Ottoman Sultan made Constantinople his own capital and immediately took the title Kayser-i-Rum, Caesar of the Romans. Such references to Rome and to business-as-usual reassured large minorities of Christians and Greeks. Though greatly maligned in the West, the Turks ruled an empire of minorities in a tolerant fashion by the standards of their time. They were a bit like the Mughals, the enlightened Muslim rulers of India who built the Taj Mahal. 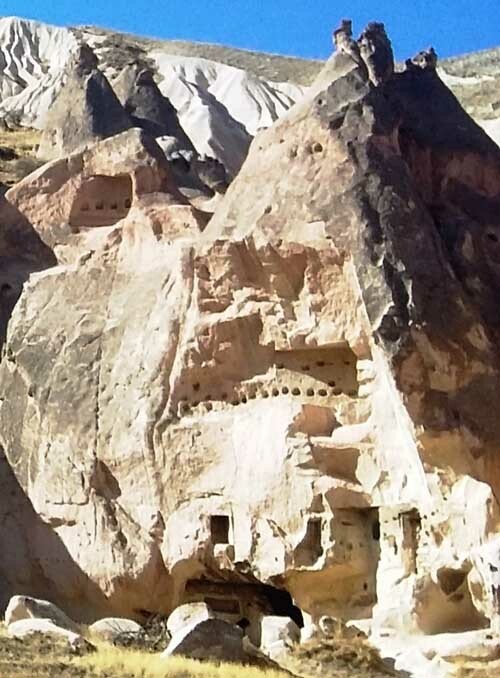 One of the areas where Christian and Greek minorities survived for centuries under the Muslim Turkish empires, only to fall victim to 20th century ethnic cleansing, was Cappadocia. 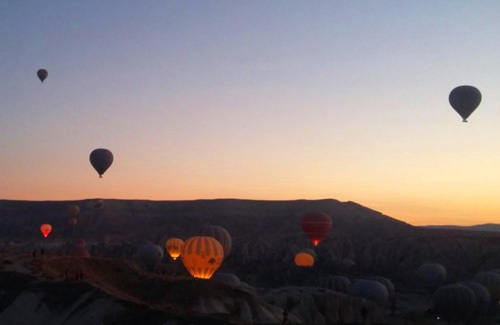 Cappadocia is one of the most bizarre places on earth. The landscape is mostly made up of a thick layer of pumice-like volcanic ash built up over millions of years. Two prominent volcanoes, Erciyes Dağı and Hasan Dağı, stand guard over the region today. Until the twentieth century, Cappadocia was a Greek and Christian stronghold in the heart of Turkey. 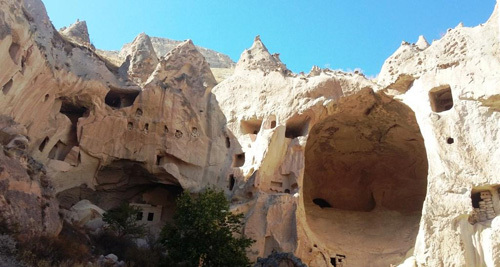 Many early saints lived in Cappadocia or came from the district. Even the Christian doctrine of the Holy Trinity was largely formulated by a group of thinkers known as the Cappadocian Fathers (the group was founded by a woman, but that’s par for the course). In early Christian times, Saint Nicholas the Wonderworker also lived in the nearby coastal region of Lycia. You might have heard of him as Santa Claus, which is what Saint Nicholas sounds like if said quickly. The connection comes about because the early, persecuted Christians continually gave each other gifts, in order to bind their community together. However, after all those millennia, and centuries of Moslem rule, Greek/Christian Cappadocia succumbed to a 20th-century calamity. After winning the Battle of Gallipoli, the Turks found themselves on the losing side at the end of World War One. The treaty that ended Turkey’s war with the Western Allies was highly punitive, partly because the Turks had engaged in severe and, when it came to the Armenians, genocidal persecution of Christian minorities seen as being on the side of the Western allies. The wartime persecutions were the greatest stain on the face of a once-tolerant empire; and the empire would not long survive the coming of the peace. In addition to losing its Arab possessions, the Ottoman Empire was even forced to cede some Greek-speaking parts of its actual heartland, Anatolia, to Greece, which had joined the war on the side of the allies in 1917. Naively, the Greek Army crossed the Aegean to garrison its new empire in the east. At this point the Turks went to war again and, after some time, defeated the Greeks. At roughly the same time, a national revolution established the modern Turkish Republic, with the Sultan sent packing. The new republic replaced the Arabic-type writing of traditional Turkish culture with a Western alphabet, which was easier for ordinary Turks to learn, and also represented a break with the past. Many other reforms were carried out as well. Unfortunately, Greece’s invasion at the end of World War One, and the Turkish national war of liberation that followed, also proved to be the final nail in the coffin of Greek and Christian culture in Anatolia; already weakened by persecution during World War One. After Turkey succeeded in driving out the Greek army, the two countries agreed to a population exchange. One and a half million Greeks were expelled westward from Turkey and at the same time, half a million Turks were expelled eastward from Greece. Once upon a time they had all lived in the same empire, of course. In the 1970s, the main champion of tourism in Cappadocia was a photographer named Ozan Sağdiç, who had been taking pictures of the region’s marvels for years. 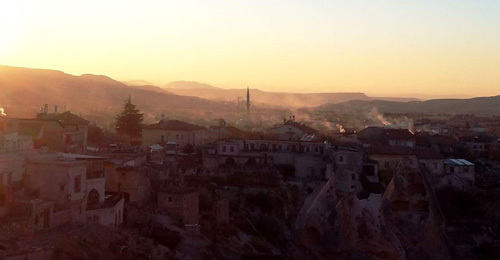 While Sağdiç was promoting Cappadocia as a tourism destination, Turkey was ruled by a nationalist military junta. In 1981, the junta demanded that broadcasters and promoters stop using the ancient name of Cappadocia on the grounds that it sounded Greek. The junta wanted to replace Cappadocia with a Turkish name: a name likely to be unfamiliar to foreign tourists and probably to most Turks as well. Sağdiç suggested that it came from the Persian word Katpatukya, which meant the land of beautiful horses. The Hittites, who had inhabited the area before it was settled by Greeks, had been experts at breeding horses. 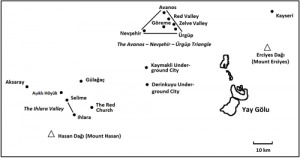 Sağdiç’s theory of how the region got its name was as good as any . . . and it mollified the generals and admirals enough for Cappadocia to keep its old name, whether it sounded Greek or not. Postscript: The story about Sağdiç is told in Hürriyet Daily News, ‘Does Cappadocia mean “the land of beautiful horses”?’, 1 September 2015. 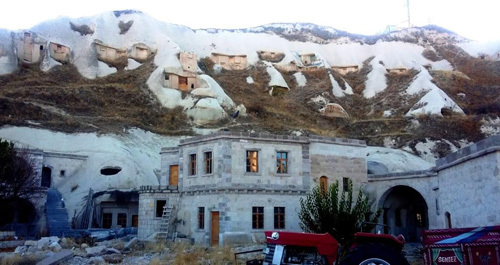 Ironically enough, the name favoured by the junta, Göreme, which is already the name of a town and a valley in the region and looks more Turkish than Cappadocia, is nevertheless known to be a Turkish adaptation of an older Greek place name, Κόραμα (Kórama). Much more by this author on her very excellent travel blog where you can sign up for her newsletter or buy her books.